For people who still haven’t got their hands on a Galaxy S5, we have good news! A new version, colored entirely in blue, will be out on the market starting from the 17th of August. This version of the electric blue Samsung will feature a blue front also, unlike the already existent blue Galaxy which has a black front. To get unlocked your Galaxy S5 please click here! First launched in China, the Samsung Galaxy S5 Duos LTE also called the S5 G9009D is now available on international markets also, starting with the United Arab Emirates and Qatar. The launching prices is $748, as it is present in the Arab, which equals 2,749 AED. The following country where it will make its debut will be Poland, the price being unknown yet. The United States has the gadget on the market by Welectronics, with a price of $899, higher than the $850 price of China. Although the new Samsung Galaxy S5 has recently been released with a lot of enthusiasm from its fans, there is a new version of it rumored to come out on the market in June: the Samsung Galaxy S5 Prime. Are you a Samsung fan? Learn here how to unlock your Samsung phone! 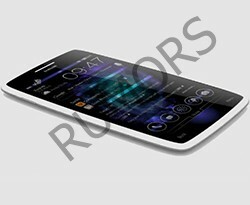 It will feature a 1440 x 2560 pixels resolution and metal casing. It seems that Samsung has denied the existence of this model, but the proof is a model that appeared on the AnTuTu site. New leaks have recently been released regarding the specifications of the new Samsung Galaxy S5, which say that it will come with a 5.24” screen and a 2560x1440 pixel Quad HD resolution. If these were true, then Samsung would surely break some records, becoming the first smart phone to go over the pixel density of 500ppi, and also becoming the second Quad HD smart phone in the world, after the Chinese Vivo Xplay 3S. The new year will bring new gadgets of course, as all the major companies are preparing to show off with their tuned up smart phones and tablets. 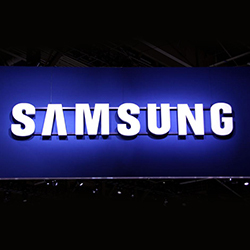 The South Korean dinosaur Samsung is one of the companies that we know for sure is preparing to launch its new high-end Samsung Galaxy S5 in the first months of 2014. We’re sure that all you techie fans are anxious to see how it’s going to be like and what new improvements it will bring, so we’re here to provide some leaked information concerning its specifications and release date. 2013 has definitely been a great year for flagship smartphones. We’ve seen a lot of innovative and amazing new features for Android devices. And now we’re anxiously waiting for the 2014 launch of the new Samsung flagship phone, the Galaxy S5. As this device is bound to bring a new wave of technology, we’ve put together a list of features the device might incorporate.